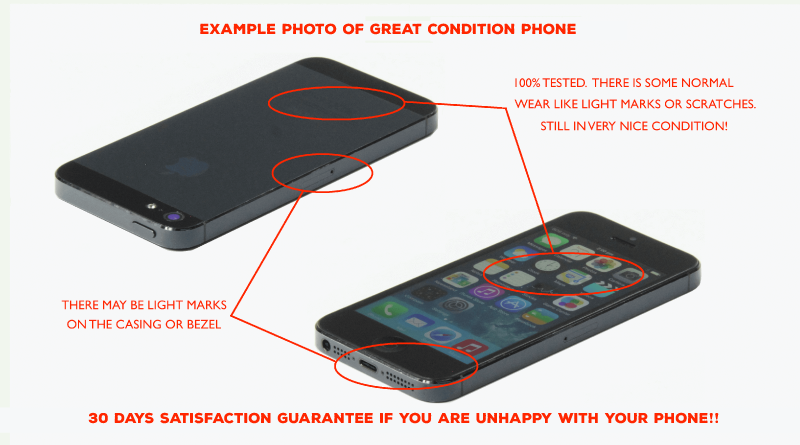 GREAT – Device is in very good cosmetic condition, shows light signs of wear (minor surface scratches or scuff marks). Device has been very well looked after and is in very tidy condition. 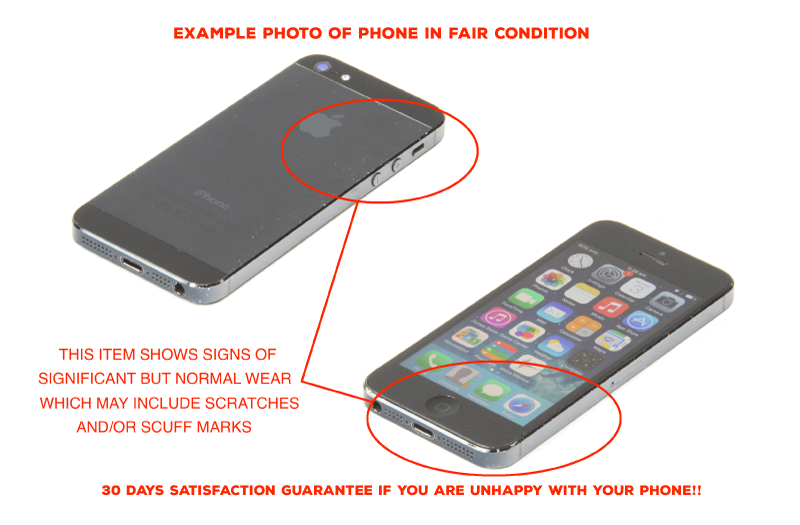 USED (Fair) – Device has been used and shows signs of normal wear and tear (surface scratches and marks). Our best value option. Functions 100% is backed by our 30 day satisfaction guarantee and 6 month warranty. For detailed information of the condition of this phone, please click on the Condition tab below. 30 Day Satisfaction Guarantee - We know that you will be delighted by the phone we send you and we back that with a 30 Day satisfaction guarantee. If you aren't 100% happy with your phone just return it to us in the same condition within 30 days for a refund of the purchase price. Apple’s iPhone X is the company’s biggest change to its flagship smartphone in years. It includes a borderless, OLED screen, wireless charging and facial recognition cameras. iPhone X was an indication of the company’s philosophy going forward: simpler, cleaner and more intuitive to use. iPhone X features two 12-megapixel cameras for high-resolution zoom and an ƒ/1.8 aperture for great low-light photos and 4K video. Optical image stabilisation. A 5.8-inch display with wide colour and 3D Touch. An Apple A11 Bionic (10 nm) chip for up to two times faster performance than iPhone 8. Touch ID. Faster 4G LTE.2 The longest battery life in an iPhone.Immersive stereo sound, splash and water resistance1, and iOS 11.1.1, upgradable to iOS 12.1. Please note the phone will be shipped in a retail white box with accessories as confirmed in the package contents tab. Industry leading 15 Point Inspection process - EVERY single product undergoes an extensive 15 point inspection process that ensures that it meets the high standards that you deserve. 7 Day Satisfaction Guarantee - We know that you will be delighted by the phone we send you and we back that with a 7 Day satisfaction guarantee. If you aren’t 100% happy with your phone just return it to us in the same condition within 7 days for a refund of the purchase price. 6 Month Repair or Replacement Warranty - All of our products are tested to the highest standards and we stand behind their quality. If you have any issues with the phone in the first 6 months we will repair, replace or refund the device. All Phones are Network Unlocked - Every phone is network unlocked (not jailbroken or unlocked by third party software) and ready to work on any GSM, 3G or 4G network (depending on the model) n Australia or around the world. We also check that the device does not have iCloud lock or other anti-theft locks. 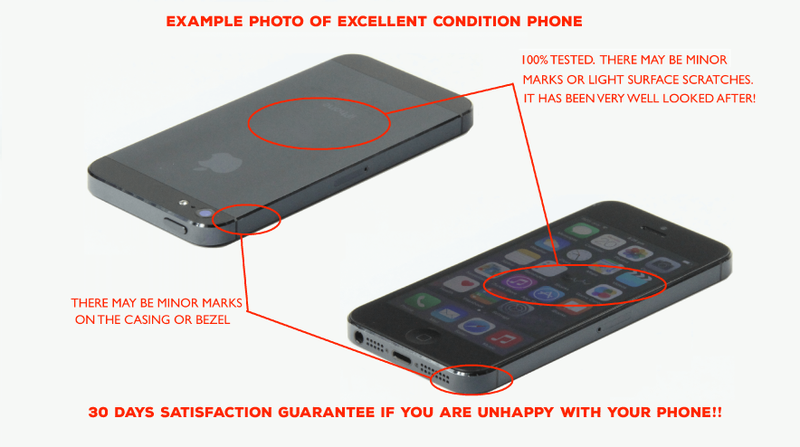 USED – Device has been used and shows signs of normal wear and tear (surface scratches and marks). Our best value option. Functions 100% is backed by our 30 day satisfaction guarantee and 6 month warranty.